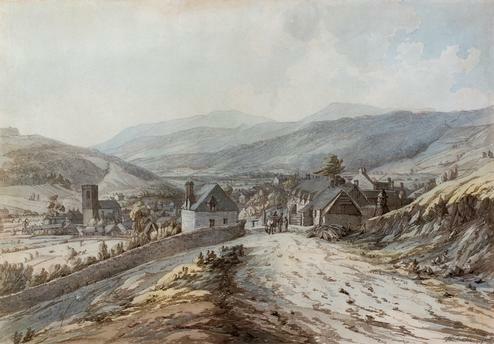 “View of Dolgelly, North Wales "
Dolgellau (Dolgelly, Dolgelley; Gwynedd, Wales). “View of Dolgelly, North Wales ". Painting, 1790, by John Webber (1751–1793). Pencil and watercolour, c.33 × 48cm.